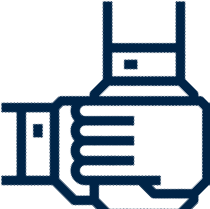 The VISION for the CCEI/NCM includes advancing the public’s understanding and appreciation for the role the Cryptologic Community plays in America’s national security. 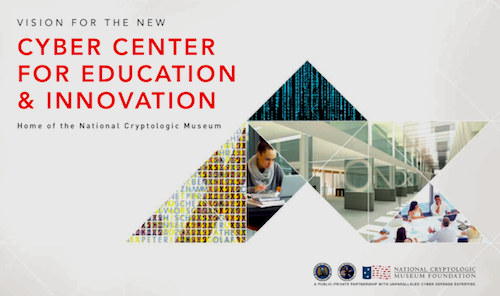 THE CYBER CENTER FOR EDUCATION & INNOVATION, HOME OF THE NATIONAL CRYPTOLOGIC MUSEUM will recall and honor the service, sacrifice and contributions of the Cryptologic Community from the past and present; it will act as a catalyst for those who will serve in the future. It is destined to embody and illuminate the NSA/CSS core values of Cryptologic Excellence: Yesterday, Today and Tomorrow. It will advance the public’s understanding and appreciation for the role the Cryptologic Community plays in America’s national security. 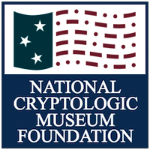 The project is a private-public partnership of the National Cryptologic Museum Foundation and the National Security Agency. 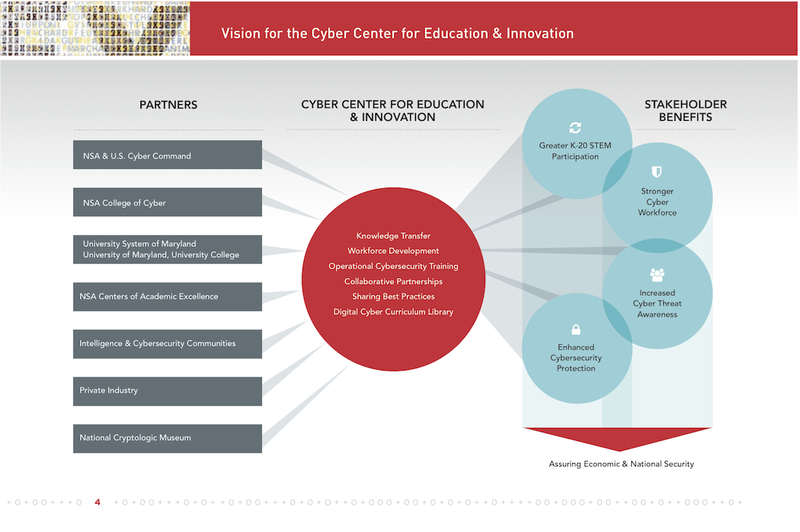 The partnership team envisions the Cyber Center as an integrated multi-purpose facility serving public and private stakeholders with the goal of strengthening our nation’s cybersecurity and defending critical infrastructure by bringing together government, industry and academia to promote the sharing of insight, knowledge and resources. 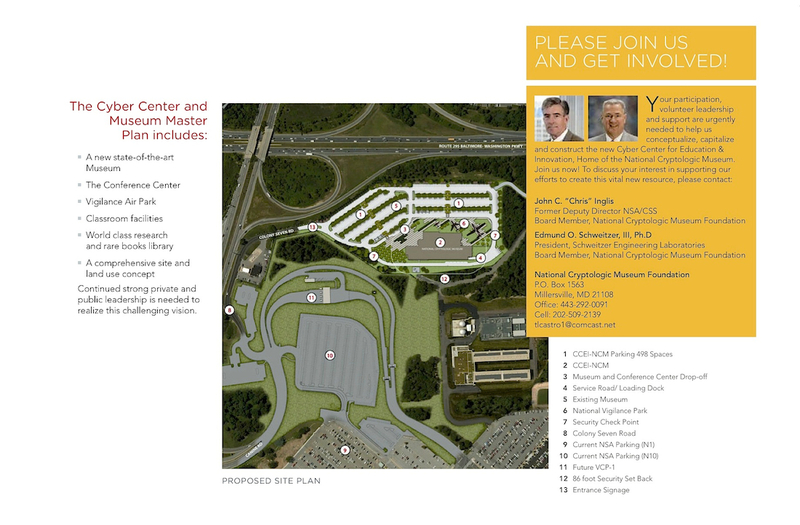 Please click on the image below for enlarged view of the Master Plan. 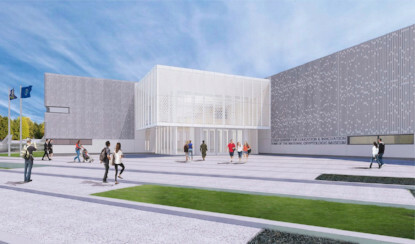 Your participation, volunteer leadership and support are urgently needed to help us conceptualize, capitalize and construct the new Cyber Center for Education & Innovation, Home of the National Cryptologic Museum. Join us now! Please click on the image displayed here to view or download a full PDF brochure. Please click on the images below for an enlarged view. Help make the Cyber Center for Education and Innovation and new National Cryptologic Museum become a reality. Donate to the project today.